Leaves and more leaves scattered about characterize this simple, yet striking design. You choose between the tablerunner or placemats or, even better, make them all! 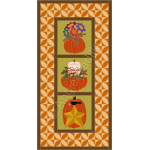 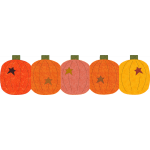 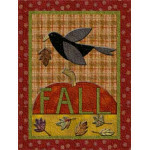 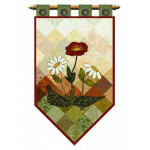 The sober pieced background provides the perfect setting for the delicate fall leaves and acorns design. 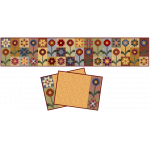 Here, too, a simple but well-chosen quilting design adds to the charm of this table set. 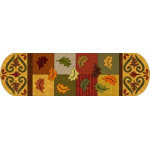 Finished runner size: 14 x 40"
Finished placemat size: 14 x 18"
With a very simple pieced background as a backdrop, a scattering of leaves makes of this a simple, y..